The Town of Chevy Chase held its municipal elections today for three of the five seats on the Town Council. There were two open seats as Mayor Mary Flynn and former Mayor Scott Fosler decided not to run for reelection. Fred Cecere’s decision to run made the election more interesting because he was the candidate elected to a term in the 2015 stealth write-in campaign. Confusing “not illegal” with “right,” only people in his support group were alerted to his decision to run and they were told to keep it secret. Another example of the decay of democratic norms even in a small town. Fred stepped down reluctantly after a term, as he had promised to serve only one term. After a year, however, he decided to run again, this time openly. In a good example of how breaking norms results in new laws to get people to adhere to what were formerly common sense values, the Town now requires write-in candidates to register with the Town before the election. More recently, Deborah has gotten press for refusing to pay the monthly fee that Pepco charges if you didn’t let them replace your old meter with a smart meter. Though the fees have piled up, I don’t think her lights have been turned off yet. Instead of Fred and Deborah, the Town reelected Barney Rush, who is tipped to be the next mayor. Joining him will be new councilmembers Kirk Renaud and Wicca Davidson. Kirk has been active on the town’s committee on climate change, while Wicca has chaired the committee on community relations. Continuing with them will be Cecily Baskir and Joel Rubin, who is currently seeking election to the House of Delegates as a Democrat,. Cecily Baskir was appointed to fill the vacancy created by John Bickerman’s resignation last year. Bickerman was best known for his involvement in an unethical stealth write-in campaign to get himself Fred Cecere elected as well as his antics on the Council. He has sold his house in order to move out of town. 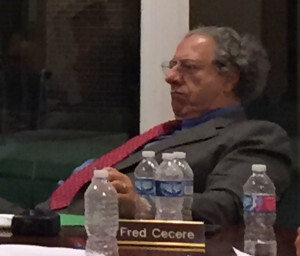 Fred Cecere had vowed to step down after one term, though was rumored to be hoping for calls for his reelection that did not materialize. In short, everyone is more than ready to move on from the extremely divisive 2015 election. Cecily Baskir, an active attorney, is well known for her leadership in organizing people in Bethesda and Chevy Chase to get actively involved in the sector plan. Specifically, she has fought to maintain the graduation in heights between residential neighborhoods and downtown Bethesda, even as the latter continues to grow. Joel Rubin served previously as the citizen chair of the Public Services Committee and is a former State Department official. He sought election to the open Eighth Congressional District last year. Though he ran a vigorous and positive campaign, Joel won just 1.1% of the Democratic primary vote in his underdog effort against much better known and financed candidates. Cronyism and secrecy appear to be hallmarks of Town of Chevy Chase Mayor Al Lang’s administration. Previously, I reported how Election Board Member Anthula Gross resigned from the Board after the election due to threats of lawsuits under the Ku Klux Klan Act during the Board’s deliberation over certification of the election. Gross has now revealed that Lang is the one who exerted pressure on the Board. According to a report on the Town’s unofficial listserv, Al Lang and Fred Cecere now want to create some sort of finance or budget committee. 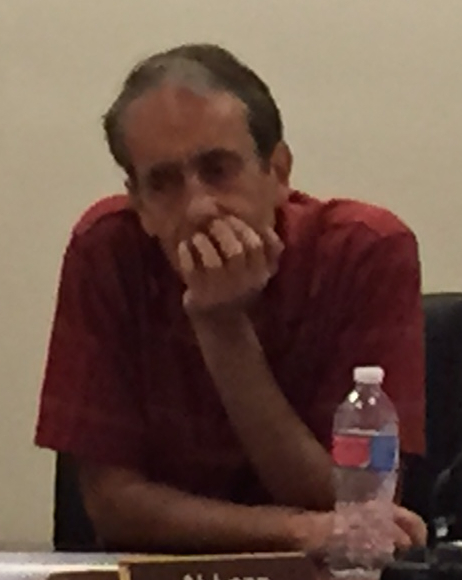 Again, Lang also would not agree to allowing advertising the committee publicly and considering other Town residents beyond those he and Councilmember Fred Cecere, his ally, have already identified, so more cronyism appears in the works. Lang and Cecere along with their ally, Councilmember John Bickerman, have trumpeted their commitment to transparency. 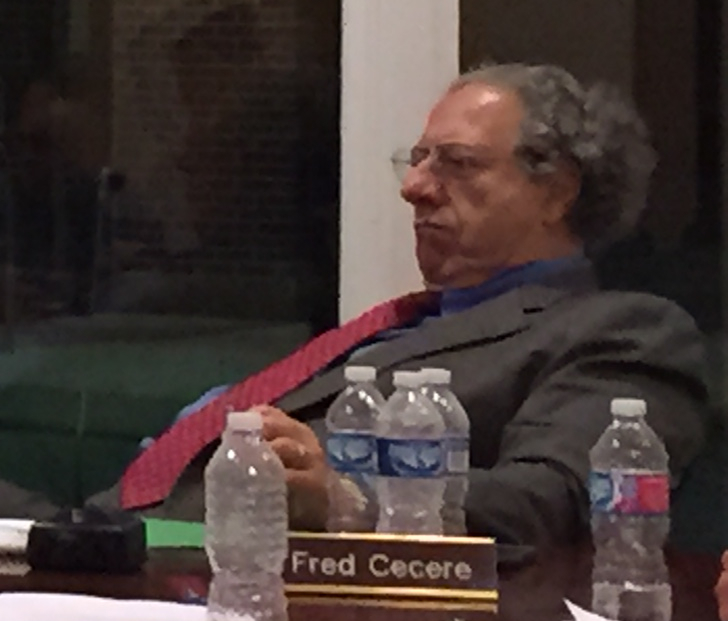 In a post-election statement to the Town, Fred Cecere expressed strong support for the Open Meetings Act. During the campaign, Bickerman also emphasized his commitment to transparency, and Lang promised a “new openness” in his 2014 election statement. Yet Cecere said publicly that he did not think open meetings of the new finance committee would be needed and pointed to a technical exception in the Open Meetings Act. Bickerman, an attorney, also did not express any qualms about the closed meetings. Lang stated that he thought that the committee would be a “working group” and did not commit to open meetings, though said he would consult the Town Attorney. The Open Meetings Act seemingly prohibits efforts to skirt the law by calling municipal committees “working groups.” It certainly appears to violate the spirit of the law. Even if citizens cannot participate, they have a right to observe this sort of meeting and it needs to be advertised in advance. These are not meetings about contract negotiations, personnel, or legal matters which require secrecy and are normal exceptions under the Act. Indeed, one wonders why Councilmember Kathy Strom, also an attorney, even had to express her strong concerns about openness and adherence to the law with all of this piety regarding transparency by Lang, Cecere, and Bickerman. Why the hunt for technicalities in the law? However, even after Strom raised it, Lang would not commit firmly to an open process and neither Cecere nor Bickerman urged him to open up the meetings. [W]e’ve all just had a wonderful civics lesson. Conduct a secret, stealth campaign, assume office and appoint one’s cronies to continue the secrecy in governing. Let’s hope the Town Attorney sets them straight soon.